It’s the rare exception for a child to be diagnosed with dyslexia before they start school. Far too many fall through the cracks entirely, and those who are diagnosed after entering school have already gone through the scholastic ringer. By that time, a lot of social and emotional damage has already occurred. There is an unfortunate misconception that dyslexia can’t be diagnosed in children before they start school, but nothing could be farther from the truth. Not only is early diagnosis and intervention possible, it’s crucial from an educational standpoint: there’s a short window of time during which children learn to read, and after that point, children must be able to read with comprehension in order to continue learning. Indeed, literacy is key for a developing a healthy self-concept, learning practical life skills, and reaching optimal psycho-social milestones. Although some dyslexic students become adequate readers through traditional instruction, over 50% require specialized instruction to overcome reading or processing challenges. Dyslexics respond well to a multi-sensory approach that includes visual, auditory, kinesthetic, and tactile modalities. While traditional instruction centers on memorizing the alphabet and each letter’s individual sound, multi-sensory teaching methods allow children to gradually understand their particular learning styles and discover what lights up their brains. They discover what they are passionate about. Actually, these teaching strategies developed for dyslexics can benefit all beginning readers, not just the struggling ones. 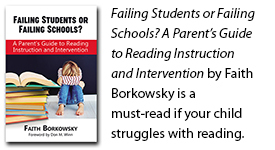 However, there’s more to consider than just getting a child help with reading when it comes to early detection of dyslexia. The many adults who didn’t know they had dyslexia until they were well along in life, or those like myself—who knew they had dyslexia but didn’t understand its full implications across every aspect of their lives—might look back and lament “wasted” time when they could have done things differently or seen themselves and all their hard work in a more understanding, compassionate light. Early detection of dyslexia in children can prevent this kind of situation for kids and help them make the most of all their abilities, possibly even preventing them from developing excessively limiting self-beliefs. Kids with undiagnosed dyslexia are in a terrible situation—they have come to believe that regardless of what they do, they will not succeed. They see no light at the end of the tunnel; instead, their vision is filled with images of continued failure. This is why it’s so crucial for parents and educators to be alert to possible signs of learning challenges. Every child has potential, and the sooner interventions and accommodations are in place, the sooner the child’s vision for themselves can begin to include hope. Once children are diagnosed with dyslexia, they can get informed, develop an understanding of their unique situation, and question and replace any inaccurate beliefs they have about themselves. Are you concerned that your child might be dyslexic? Here are some potential signs of dyslexia for different age groups. If you see evidence of a few of them, consider getting your child tested. If your preschooler has trouble identifying rhyming words, pronouncing words, calling things by the right names, following instructions with more than one step, or if they speak less or use fewer vocabulary words than their peers, screening for dyslexia is advisable. Delayed language development is often the first sign of dyslexia in preschoolers. Is there a history of reading or spelling difficulties in the parents or siblings? Dyslexia is highly heritable. Kindergarteners and first graders with dyslexia could exhibit frustration with reading, complaining that it is too hard. (They are good at disappearing when it’s time to practice reading!) They often are unable to sound out even the simplest words, since they can’t easily connect a sound to its matching letter. Great problem solvers and guessers, they often supply their own narrative to an illustrated book based on the pictures. They may say kitty or kitten instead of cat, for example, even though the word cat is used in the story. Older children with dyslexia will be slow, reluctant readers. They avoid reading out loud whenever possible. They make wild guesses about unknown words since they have no strategy for sounding out new words. Longer, more complex words are frequently mispronounced. When asked a question, they take longer to reply, often using word whiskers such as “ummmm” to give themselves time to process. Learning things in sequence is challenging or impossible: timelines, phone numbers, multiplications tables, for example. Handwriting is messy, and most dyslexics print block letters rather than write cursive. Signs of low self-esteem and shame show up early for dyslexics. Children especially experience low self-esteem in situations in which they believe they are destined for failure. Thus, kids with learning problems feel most vulnerable in settings in which their learning difficulties are obvious and exposed, such as in the classroom. Low self-esteem can show up in a number of ways. When children with dyslexia understand what’s going on with their brains and are taught how to make things better, the difference in their outlook is astounding. Early detection and intervention is key to giving kids with dyslexia a good foundation in reading, but also a good foundation for developing coping skills that will give them hope and the ability to live up to their full potential.